$199 for 8GB, $249 for 16GB. 7″ inch 1280 by 800 pixel screen. Based on the reviews I’ve seen, it looks like after four years of stutter and jerkiness, Google got very serious about making the Android UI fluid and responsive. This was hard because Android was originally developed to be a Blackberry clone and some basic architectural decisions were made that prevented having a smooth interface. This is one example of Google aggressively fixing the most serious flaws in Android and it looks like they are making lots of progress. That and the deep integration with Google’s excellent cloud services. Android is getting better. To beat the iPad, it is not enough to have a comparable product. You either have a much better product or you have a much cheaper product. After many attempts, no Android tablet was good enough. So Google chose plan B: sell a much cheaper product. The Nexus 7 hardware does cut some corners (back camera, cellular radio, expansion ports) but what it has is very good. And it is being sold at cost – hoping to make it up later by selling movies, apps, songs, ads. 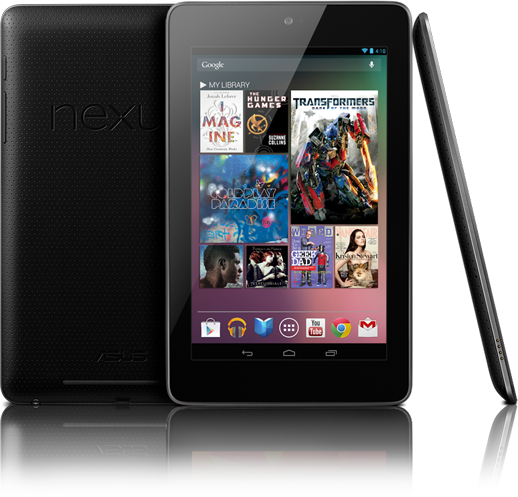 So rather than being a direct iPad or Windows 8 competitor, the Nexus 7 is aiming at the cheap Amazon Kindle Fire. And it looks like it is much, much better product. These are tough times for OEM partners: Microsoft releases Surface and has the advantage of early access to software and direct access to Windows engineers. Now Google does something even more ruthless to its parners: on top of all the advantages of owning Android, they decide to sell hardware at cost. Dell, HP, Asus, Toshiba, Samsung, etc. cannot sell tablets at cost without a way of making up their losses later. In the brave new world of tablets, Apple’s “making the whole widget” way is the way and Microsoft and Google seem to have caught on to that. This is the first Android product I’ve ever wanted to own. It appears to be really good, and the price is great. Best of all, it’s very light (340 g). Sure, they had to destroy the trust of every hardware partner they have in the process. Too bad for them.